Silatech signed a collaboration agreement with Yustan Seafood company in Somalia to implement a program that aims to economically empower Somali youth in the fishing industry. The program will train 2,400 young Somali fishermen on proper fishing practices and post-harvest handling and production skills. In addition, the program will focus on marketing skills, packaging, technology tools, certifications and target species and markets. Silatech and Yustan aim through this partnership to roll-out a broad-based program that is to increase the number of fishermen and their productivity by providing them with the necessary expertise to produce high quality seafood products, which from it are able to compete in Somali and international markets, as well as promote economic opportunities for young women through the training of 600 young women, on pre-and-post-harvest skills, who then will be recruited within the project. Yustan Seafood company is a strategic partner of Silatech’s programs that are designed to economically empower Somali youth in the fisheries sector. The company is a leading seafood export establishment with access to markets reaching 100 million people. The company provides both the local market, (hotels, retail customers restaurants supermarkets), and export markets (Ethiopia, Djibouti and MENA region mainly GCC), with fresh and frozen seafood products. 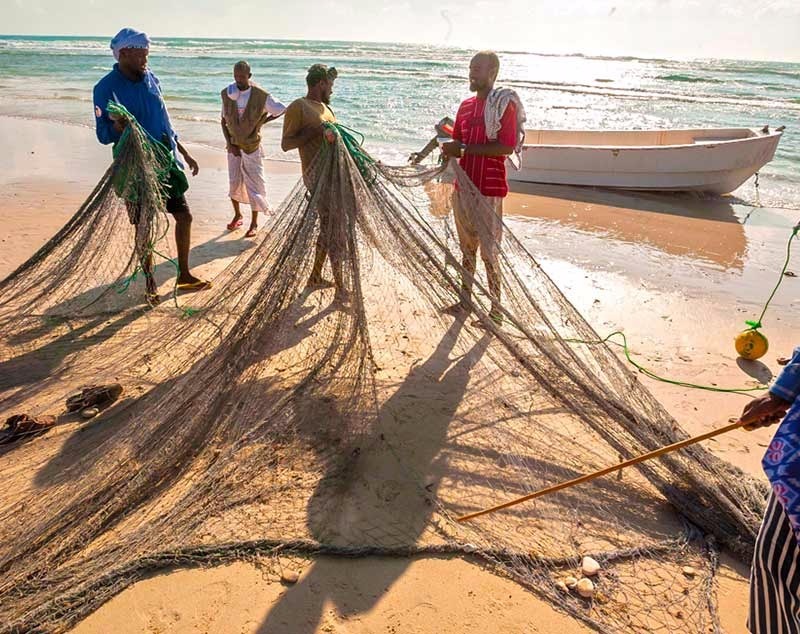 It is worth noting that Somalia has a large untapped marine wealth, and the fisheries sector- if supported and developed- has wide opportunities that can promote the national economy, provide large-scale employment opportunities for young people, and establish a food security source for Somali society. This project is an example of Silatech’s tailored innovative initiatives designed to create employment opportunities for young people in untapped sectors, engage them in the development of their country’s economy, and enable then to benefit their entire communities.